Estée Lauder’s plan of shifting its focus away from older consumers to tap into the China’s booming cosmetics industry, which is led by young millennials, is part of the beauty cosmetic giant’s long-term investment strategy in the country, says GlobalData, a leading data and analytics company. The company reported strong net sales of $4.01bn for the second quarter ended 31 December 2018 in China, notwithstanding fears about a consumer slowdown amid an escalating trade war with US. Reportedly, booming demand for cosmetics and high-end skincare products in China has helped Estée Lauder to stay competitive in a fast-changing market. 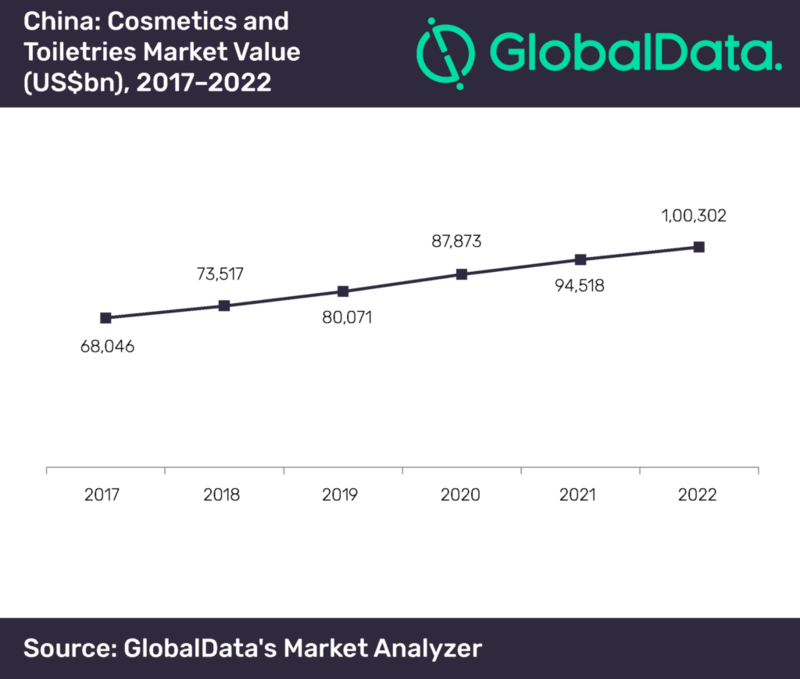 An analysis of GlobalData’s Market Analyzer reveals that the percentage of sales of cosmetics & toiletries in China has increased by 8% from US$68.05bn in 2017 to US$73.52bn in 2018, and is projected to reach US$100.30bn by 2022. Given their growing affluence, Chinese young women are increasingly willing to purchase premium make-up brands that offer superior performance and unique experience. Consequently, Estée Lauder revised its business strategy to tap this segment of consumers in the evolving China’s cosmetics & toiletries industry landscape.